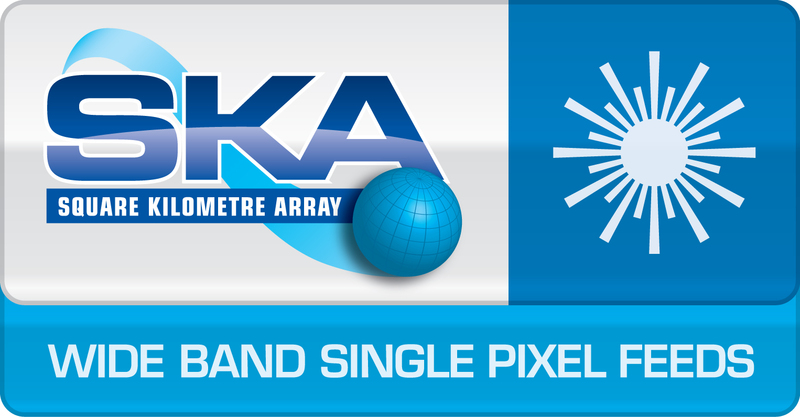 The Wideband Single Pixel Feed (WBSPF) is the advanced instrumentation programme aiming to deliver wide band frequency coverage for SKA-mid. The consortium was initially formed as collaboration of Sweden’s Onsala Space Observatory and the Microwave Electronics Laboratory, both parts of Chalmers University of Technology, with ASTRON, MPIfR, IAF and JLRAT. We were joined in the autumn of 2014 by the Laboratory of Astrophysics (LAB) at the University of Bordeaux to work with the work package on wide band receivers. The wide bands in question are called A and B. Band A covers the frequency range 1.6 – 5.2 GHz. Band B, from 4.6 to 24 GHz, and here’s where it gets interesting, they have an overlap with SKA-mid’s Band 5. 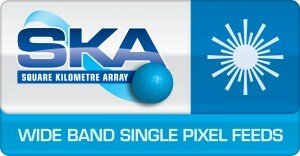 When the SKA re-baselining was carried out, the scientific community raised the priority of Band 5 for SKA-mid. As a result SKAO requested a shift in the priorities for the receiver bands that should be made initially available, so that Band 5 would come right after Band 2. Could the performance of Band B from the WBSPF consortium compete with Band 5 in time for SKA phase 1? From our work in the pre-construction stage, we’ve found that the answer is “yes!” So now we’re focused on meeting critical design review requirements at the beginning of 2017, with the aim of having Band B ready for integration for the start SKA Phase 1 construction. With this new prospect in mind, the WBSPF consortium convened, with the support of SKAO, at the office at SKA HQ on the 23rd & 24th of March 2015, with 25 participants in all. We discussed all the work packages, discussed milestones and revised deliverable dates in terms of the scientific goals and importance for SKA of wideband feeds, and took the opportunity to talk about the current technology status of main components (feeds, LNAs and receivers), cryostat design and system requirements.